The Department of State offers guided tours of its formal reception rooms, used for official meetings with foreign representatives. The Department of State offers guided tours of its formal reception rooms, used for official meetings with foreign representatives. 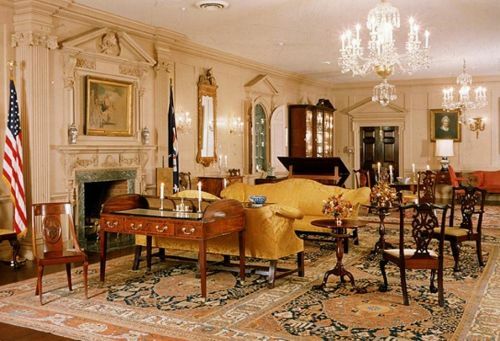 The rooms are a trove of antiques and gifts, old and new, given by foreign governments to the U.S. Tours only by appointment, must show valid ID to be admitted.